The financial situation of Dogus Holdings, the owner of the "Salt Bae Steakhouse" chain, is becoming precarious. The company's debt woes - fueled by a collapsing currency (no, not the dollar) - have persisted, even though it is trying to unload assets to help restructure its liabilities. The holding company, which is controlled by Turkish billionaire Ferit Sahenk, has been unloading hotels over the last year as part of a December agreement with lenders to help renegotiate the terms of $2.5 billion in debt, according to Bloomberg. The problem is that this agreement doesn’t even cover half of the holding company's liabilities, which were up 17% in 2018. They now total 28.6 billion liras, or about $5.2 billion US, according to its financial statements. Almost half of these loans are due this year. 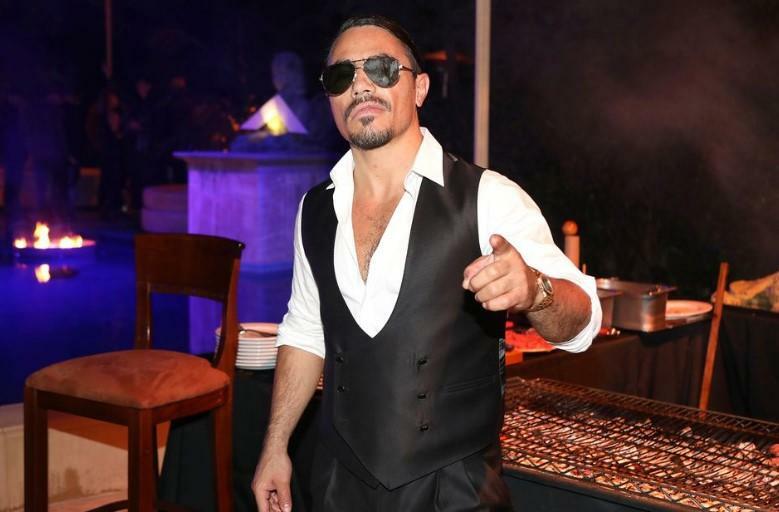 The owner of the Nusr-Et steakhouse, known as the "Salt Bae Steakhouse" after its founder, is struggling to re-pay foreign exchange loans after Turkey's lira has plunged in value over the last five years. The holding company also has arms in different parts of the entertainment business. The company had pledged 23.4 billion liras of assets as collateral against its liabilities as of the end of 2018, compared with 19.6 billion liras in the year prior. The group's loss also widened about 25% from 2.3 billion liras in 2017 to 2.9 billion liras in 2018. A harbinger of what is to come, Boyabat, the holding company's hydro-power unit, defaulted on its debt due on December 31 and is currently in the midst of restructuring a $900 million loan. Sahenk was once Turkey's richest man and spent heavily on hospitality businesses after selling his 31% stake in Turkiye Garanti Bankasi AS and netting nearly $5.5 billion. Facing a liquidity crunch due to assets denominated in lira and liabilities in dollars, his company has been seeking buyers for hotels that it owns for several months. It has already disposed of some assets in places like Miami and Spain. Recently, the group sold its Park Hyatt hotel in Istanbul and 50% of its holding in the Athens Hilton.